Reflections and Ruminations: Being bothered for the right reasons - a great challenge for a priest. Being bothered for the right reasons - a great challenge for a priest. There is a prevalent notion among many people (Catholics and non-Catholics alike) that anger or any betrayal of this emotion has a negative connotation. After all, anger is one of the seven deadly sins or cardinal sins which when uncontrolled, causes one to give in more easily to the malevolent human tendency to sin. Jesus’ grand display of his anger at the temple was therefore deemed uncharacteristic of Jesus, and one easily wonders what had happened to the charitable, patient, kind and genial side of Jesus which makes him usually so automatically loveable, affable and amiable. At the root of his anger was the consternation that filled him when he was confronted by the fact that what was meant for the Father’s glory was instead used for exploiting the poor. Something that was meant to bring God and his people together ended up being something that did just the opposite. There was a flagrant disorder that was happening right before him, and the sad irony was not lost on him. On the surface of it, we guard ourselves from turning our churches and places of worship into market places rather well. Checks and balances, the carrying out of ‘best practices’ and necessary liturgical rules help us lay the correct foundations that prevent this kind of fiascos from taking place, as it were, right under the nose of God. But I have, in my course of being a priest and a celebrant at Masses, seen another type of abuse that disturbs me and causes discomfort in no small measure. I am referring to how our indifference may display a disorder of another kind. If Jesus was perturbed with the disorder that was before him in his Father’s house, does that not make us ask ourselves how we feel when we find before us a disorder that turns our Father’s house into something else other than what it should be? The Father gave us his everything in Jesus. He did this in total love. It cannot be that hard to infer that it must elicit from us a similar returning of love, not out of obligation, but out of love from our part. In worship, this translates into our entire attitude - from our externals (what we wear and how we dress) to our inner and unseen selves (how we respond and participate in our singing), to meaning what we say/recite, and in being aware of not what, but WHO we are receiving in Holy Communion. Doing all this, and doing them well gives us the proper foundations and grounding for our raison d’etre for being Christians, which is to go out to the whole world to proclaim Christ as Lord. But it is when we worship with a half-baked attentiveness and a divided heart, or worse, when we know that we have in us unconfessed and unrepented sins, that each of us becomes a ‘disordered temple’ which turns the Father’s house into something worse than a market place. I have heard complaints and comments galore about how our worship, especially that of the Roman Rite, seems to be stiff, rigid and almost inflexible. Some would go so far as to call it boring. Could the problem be with us, than with the rite? I am of the opinion (and it is not a humble one, by any stretch of the imagination) that this is the problem - that we expect what titillates and excites us in the world around us to similarly entertain and entrance us when we worship God. That we have been subconsciously fed a steady diet of slick MTV videos and polished concert performances costing millions of dollars to produce gives us the false belief that our worship needs to meet these standards at some level. Perhaps we do not want our encounter with God to be something that is so different from our worldly lives. Just as movies keep us attentive, we want worship to do the same. Just as Facebook holds our often undivided attention and makes so many of us glance at that app every so often in the day, so too should God be as addictive and habit-forming. And if God and our prayer life pales in comparison, then maybe, just maybe God is not as real as our worldly pursuits. But if we really think about it, how can our worship BUT be different? We do not worship our work, do we? Our friends in our social circles are not the cause of our being, and none of our material yearnings and desires can ever give us eternal joys. Only God and the everlasting joys of heaven do that. In fact, it is really when we are touched by God so differently at worship that we bring this dynamic into the world that we can begin to transform the world with a prophetic courage. Till that happens, we probably will be unchanged in our approach towards worship and prayer. Our response will be lukewarm, our singing will display indifference, and we will emerge from the pews on Sunday with our lives untouched and unchanged. I tried to addressed this to a weekday Mass crowd at my parish just last week, and the word quickly got round that I was in a bad mood that day, and had ‘scolded’ the parishioners. Perhaps I did sound a tad worked up, but it came from an energy that was passionate. 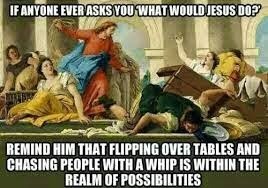 It is clear that Jesus was passionate when he reproached the money changers in the Temple. He did it for the love of God and for the people. I am certain that I did the former with clarity, but may not have succeeded in showing the latter. There is an old saying that fire makes a good servant but terrible master. Perhaps the same can be said of anger. imagine if you will....the darkness punctuated by the glare of dozens of mobile phone screens held aloft, as people huddle in twos and threes candle in hand, to take selfies and pics as the priests intones " Christ our light"
it is not a religious extravanganza, not a pious performance. there is just too much noise and distraction, giving one very little opportunity to encounter one's "interior silence" during mass. Agreed!... i do wish people would remember that we go to Church to pray and as I've constantly reminded people, not to play or chat... We can do that at any time outside of Church. At least respect those who do want some quiet time in Church. Reminders from the priests do help though sadly I don't hear much of those. Pax! I have some bad news for you, Fr. Luke. This “half-baked attentiveness” in church during mass is not about to go away anytime soon. And you have every right to feel outraged, or at least saddened, as I am. I believe the problem is basically twofold (although there are many other factors, such as the lure of worldly ‘values’). Parents. On one hand, if we, as parents have not formed our children well – by the very act of leading by good example, then how can we expect them to honour God as He so rightly deserves? When parents (especially of young children) ‘use’ the time during the homily to check their cellphones for incoming messages etc. then we can really expect any better from the next generation? (By the way, this phenomenon of ‘digital-media addiction’ is not just limited to the young. My of us old-fogies also fall prey to this disease). Catholic (and Christian) parents have the sacred responsibility of passing on their faith to their little ones; nothing is more important than this, in the raising of children. Too often though, the children’s grades in school take precedence over everything else. The other problem, is our catechism classes. I remember some years ago, when I was a catechist, the lessons consisted mainly of specific incidents in the Bible, like the crossing of the Red sea and so forth. I didn’t see any connection being made with our young charges - who viewed it as just another history lesson (sigh…). They already study history in school and their “half-baked attentiveness” during cat-class was palpable. Instead we need to get back to the basics of the faith. The fundamentals. We need to teach them that Jesus is real, and alive, and that He LOVES us! I am sorry if this sounds like a rant. It is not my intention to ‘point a finger’ at anyone. But this problem of “half-baked attentiveness” that we are so accustomed to witnessing during mass is heart-breaking and needs to be addressed; especially by parents, and catechists. God bless you. Perhaps it is when our hearts are not engaged at all that our attention is diverted and not focussed. We do a lot of things that we think or feel it is the ‘accepted norm’ or a good thing to do, or image to create but when our hearts are not in it, it is hardly surprising that we are unconvincing even to ourselves and we end up being distracted and disgruntled. And so we finger-point and blame the choir, the un-inspiring homily, the staid ritualistic liturgy and a host of reasons- finding a scape-goat- for our inability to be attentive at mass. I feel that - we can put on our Sunday best, a correct churchy or religious demeanor (among other things) - but worship is actually an “extension of oneself” - of what we really are and bringing this self as ‘offering’- that would be pleasing to the One - we profess to love. Thus, we cannot give of what we do not have. To do so, we need to be well-acquainted with our own ‘inner self’. It is more than just our feelings or emotions or psychic experiences which could be just ego-related. It will happen when we respond to God’s invitation to have a spiritual life. Knowing that God dwells within each of us - we must seek to deepen this awareness and seeing our desire, He will provide all the graces we need - creating an inner stillness where the mind is at quiet and the silence is vast. Making daily time to be alone and focussing our attention on God is our continual ‘yes’ to the divine invitation. And so participating in shared worship becomes a very natural and exciting thing we look forward to.